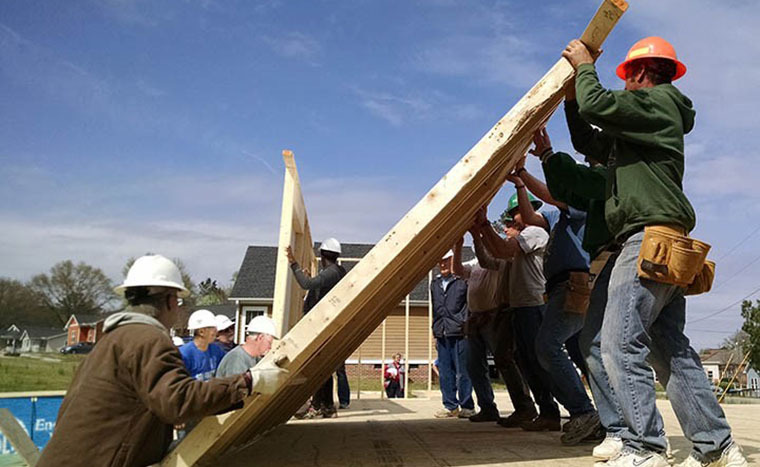 White Memorial has been sponsoring new Habitat for Humanity homes in Wake County since 1991, and is currently involved in new home construction, home improvement projects, wall builds and youth projects. Watch for Habitat updates here and in the church newsletter or email Harry Montgomery, the White Memorial Habitat Coordinator, for information or to be added to the Habitat email list. Watch for Habitat updates here and in the church newsletter, or email Harry Montgomery for information.